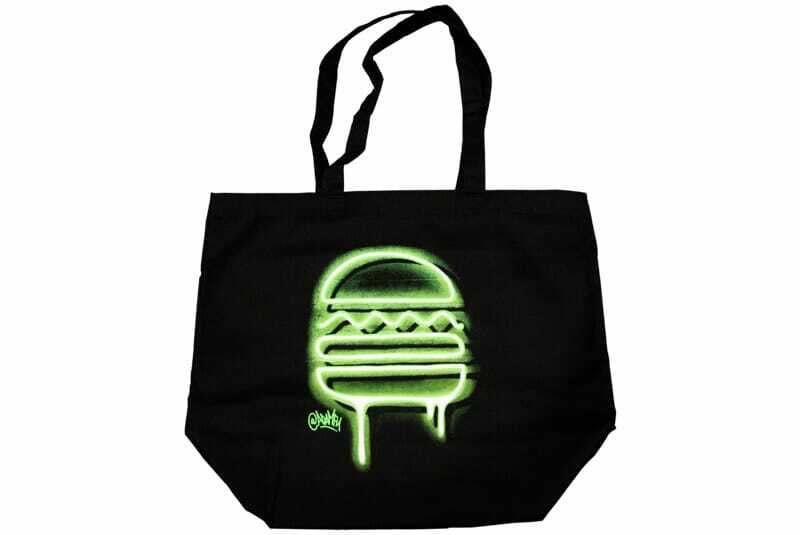 Product Description: Shake Shack partnered with Brooklyn street artist Adam Fu on this tote to celebrate the opening of its Williamsburg location in 2018. Adam is known for his vivid neon scripts and images; check out his work on Instagram at @adamfu or on his site www.adamkfujita.com. Hand made 18"w x 15"h x 7"g with 25" hand sewn handles. Made in the USA. 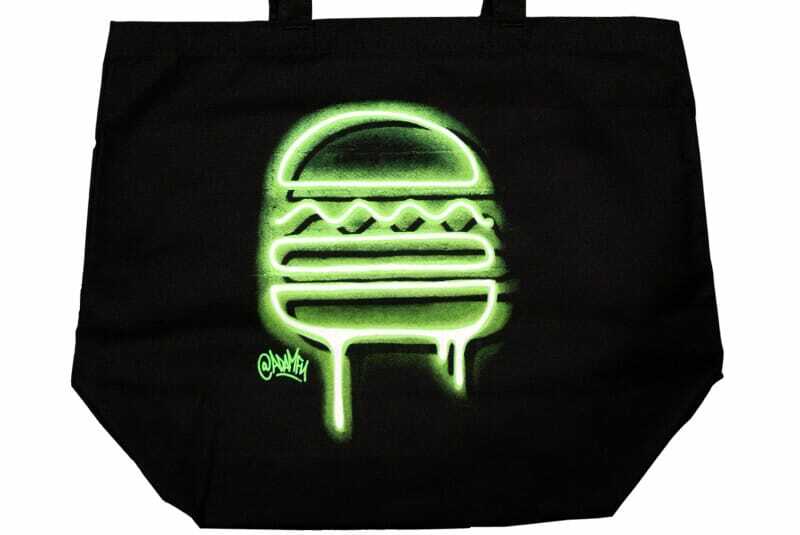 Shake Shack partnered with Brooklyn street artist Adam Fu on this tote to celebrate the opening of its Williamsburg location in 2018. Adam is known for his vivid neon scripts and images; check out his work on Instagram at @adamfu or on his site www.adamkfujita.com.